Camberley Cats Meow : Hybrid Cats - petrol & electric???? Hybrid Cats - petrol & electric???? I get asked a lot about hybrid cats, in particular, Bengals and so I thought I would note down some food for thought for anyone considering taking on a Bengal. Firstly, what are hybrid cat breeds? Well, basically they are domestic cats which have been bred with wild cats. Examples of this include Bengals (Asian Leopard X), Savannahs (Serval X) and Scottish Wild Cats Xs. Sometimes these cats are much larger than average domestic cats and may behave differently, including being more territorial and aggressive. This can depend on the amount of genetic material coming from the non-domestic species. Taking on a hybrid rescue cat, or indeed, buying a hybrid kitten should not be undertaken lightly and we would recommend that you take time to learn and understand the specialist care and attention your new pet will need. For instance, a Bengal cat may not tolerate being locked indoors, they can be very noisy and generally they like to climb (anything!). When bored, Bengals can become intolerant and aggressive and when feeling territorial they are likely to spray. It isn’t all bad though, when trained, handled and managed properly they are funny, interesting cats but let me be clear, they are a lot of work. 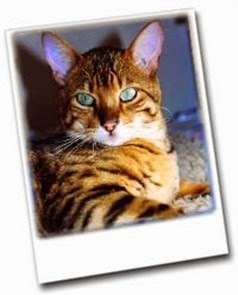 At Cats Protection Camberley, we do see a few Bengal cats each year that need rehoming and we are always very careful to ensure the adopter understands how time-consuming Bengals are…. There are many Bengal specialists around the country who are inundated with cats being surrendered due to behavioural problems which is a sad reflection on the breed. Behavioural problems can be managed with specialist help but it will require patience and perseverance. I guess the message here is yes, they are super-cute and they really do look like little leopards - but that’s exactly what they are - and you need to think about that before taking one on. Is Joseph Undateable? Of course not!